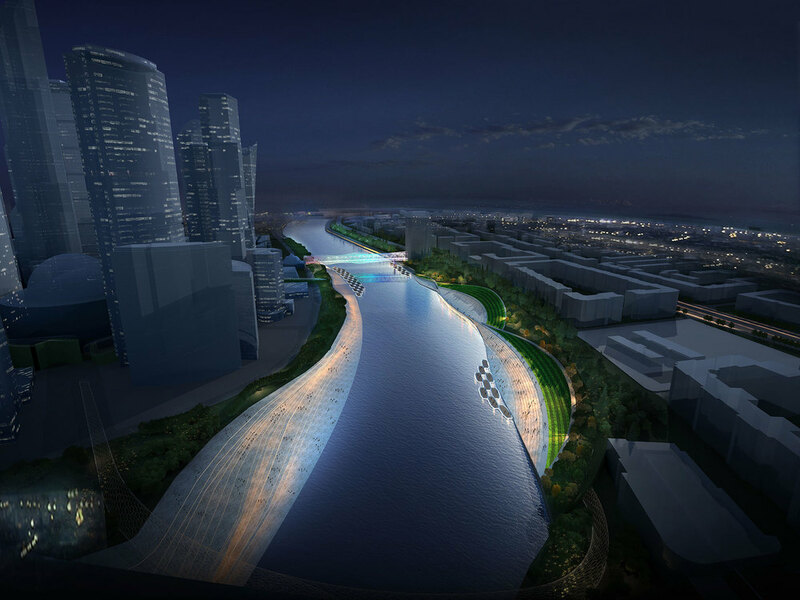 In autumn 2014 the Genplan Institute of Moscow, with the support of Chief Architect Sergei Kuznetsov, announced a competition to redesign the embankments of the Moscow River. On 4th of December the results were presented at the IV Moscow Urban Forum. 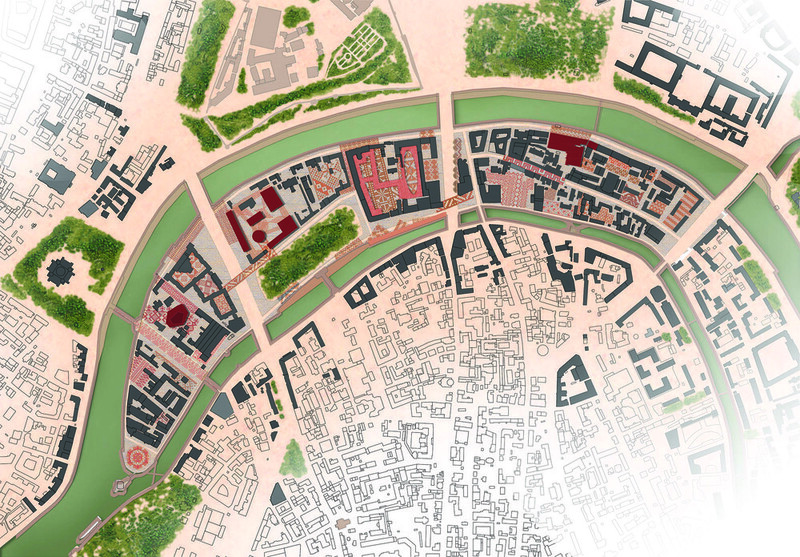 A Russian-Spanish consortium of Burgos & Garrido arquitectos (Madrid), Citymakers (Moscow), EMBT (Barcelona), participated in the competition and presented its view not only on the riverside project, but also for the development of the city as a whole. The concept is called Moscow Linear Liquid Center or Moscow LLC. In this acronym "linear" refers to the length and form of infrastructure along the river, primarily, transport infrastructure, which is developed in three phases. The first phase is the creation of new tram routes along the embankments, additional public transport routes and cycling and pedestrian paths. The second phase is the creation of new lines of light railway transport, which connect "magnets" of the new linear center. And the third phase is the creation of a new single-track metro line that connects to existing stations. 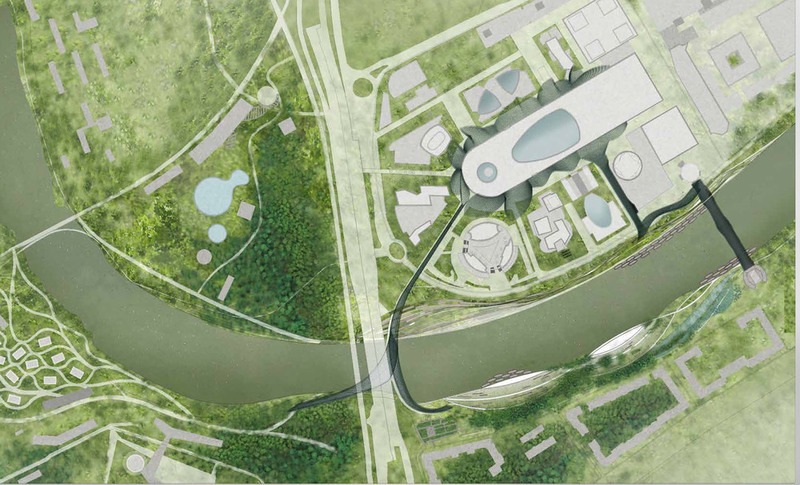 The word “liquid” in our concept refers to a dynamic, flexible, adaptive, mosaic structure of the areas along the Moscow River. The project offers inclusive solutions to create an integrated environment that blends cultural, sporting, housing and public space functions. “Center” refers to the creation of an alternative, riverside center of Moscow that would compete with the historical one. The LLC discovers a new vector for the city development - along the river. It can grow gradually in parallel with transport and social infrastructure. It puts the river back at the heart of Moscow.